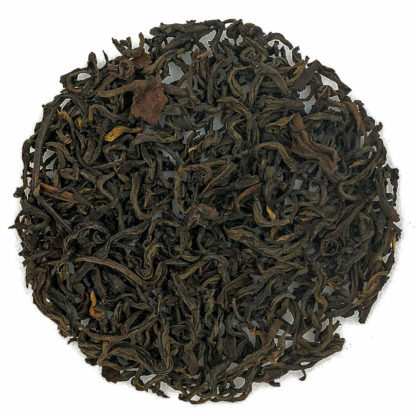 Ruby Black – Nepali-style pu’erh is high grown and said to be the best. 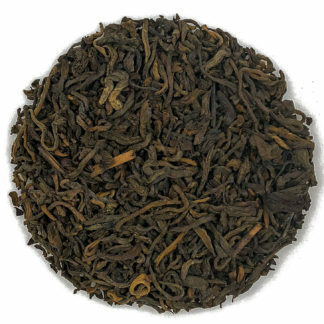 The Llam region of Nepal, at elevations of 4000 to 7000 feet in the Himalayas produces a young tea with very high concentrations of flavor and healthy antioxidants. The culture of the Nepali-style aged ruby black tea is unique to Jasbirey Village. This fine black tea is made via the art of post fermentation . The tea is processed via the standard oxidation process, then allowed to mature for at least one year. The teas are kept inside the storage bins or jute bags under normal high elevation weather conditions, prevalent in the Sandakphu foothills. Tea masters then make weekly tastings to determine the optimal time for firing. Our Ruby Black is bold, yet smooth, with a lasting gentle finish. This distinctive, invigorating tea has received high rankings on Steepster.